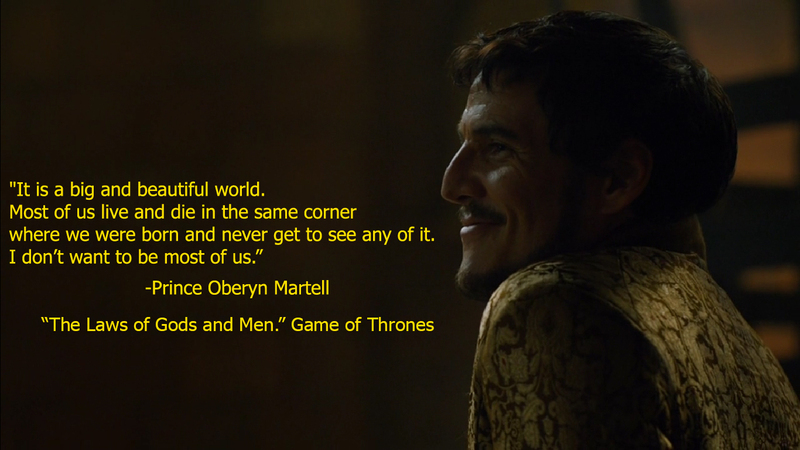 This Sunday’s episode of Game of Thrones on HBO featured this amazing quote. Although I’ve read A Song of Fire and Ice I can’t be sure if the quote is directly from George R.R. Martin or just good HBO writing. Either way it hit home for me! Needless to say not only am I full of excitement for my upcoming travels (and sharing my most recent ones with you all!) but I’m also totally pumped for the next Game of Thrones episode! I really liked that episode!